Welcome to Caledon Tennis Club! 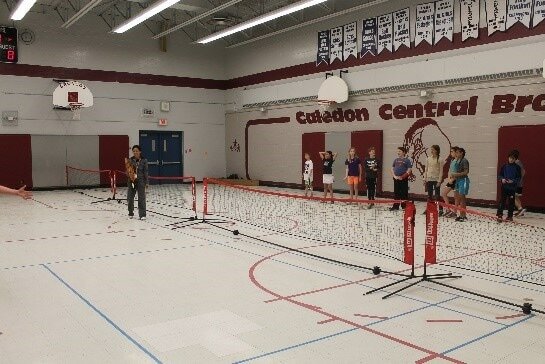 The goal of the Caledon Tennis Club (CTC) is to promote, organize and improve tennis as a sport within the Town of Caledon. We want to attract new players by providing them the best summer tennis experience. We want tennis to be fun, with an opportunity to develop friendships, provide great fitness as well as friendly competition. We want to thank the Town of Caledon, along with the Optimist Club for their generous support to help subsidize the free Kids programs (School and Club) sponsored by the Caledon Tennis Club. Sign up for the 2019 season, including special programs and lessons! 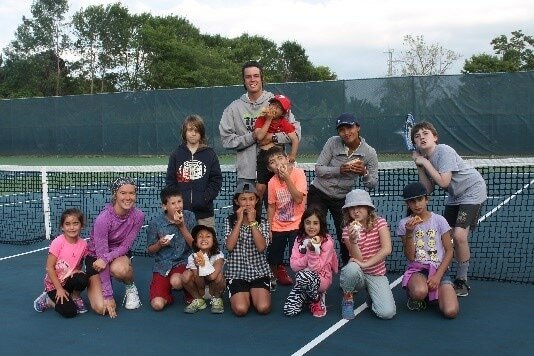 Caledon Tennis Club Youth Programs! Your Caledon Tennis Club offers Tennis for Kids (free group tennis lessons at the Caledon Tennis Club) and free in-school tennis lessons at local Caledon primary schools. The provision of cost-free tennis lessons made our sport accessible to many young people who had never played the game before. We are hopeful that these youths will continue participating in this healthy, life-long activity. We have provided a few photos (see below) of our programs – and your investment – in action! Contact our Pro Mike Soden for more details! 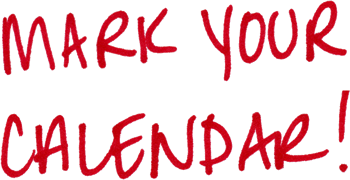 Please see the EVENTS page for more details on all events! SIGN UP FOR SUMMER TENNIS - ﻿NEW MEMBERS WELCOME! See the MEMBERSHIP page for more details! We are continuing to offer “ebanking” or “etransfer” for membership payment; please contact our Treasurer for details! Our Facebook group has been migrated – please re-join or join for the first time!